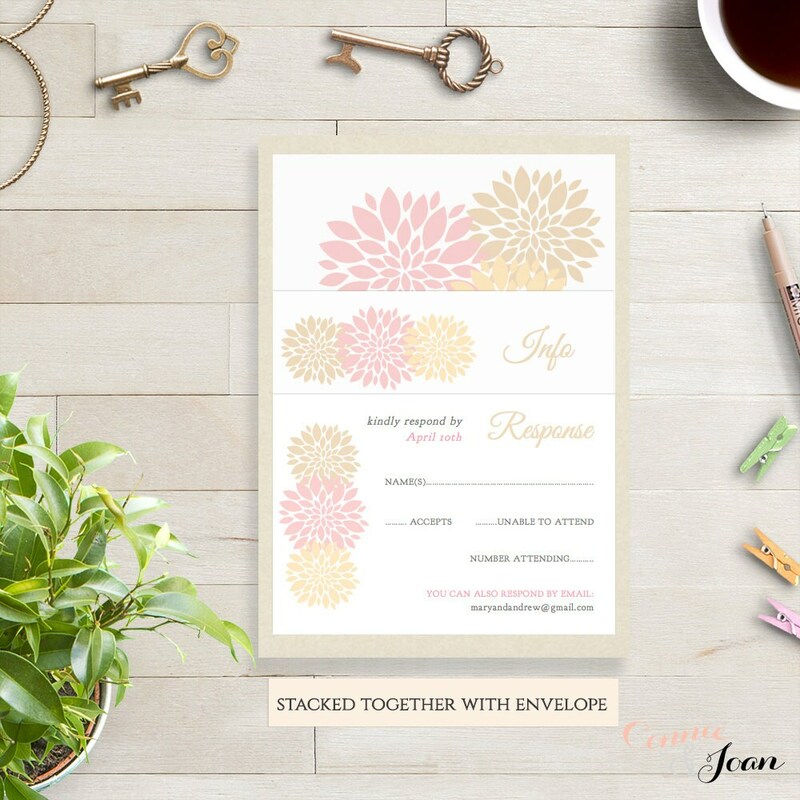 Wedding invitation printable template, champagne blush pink gold invitation. 'Flowers'. 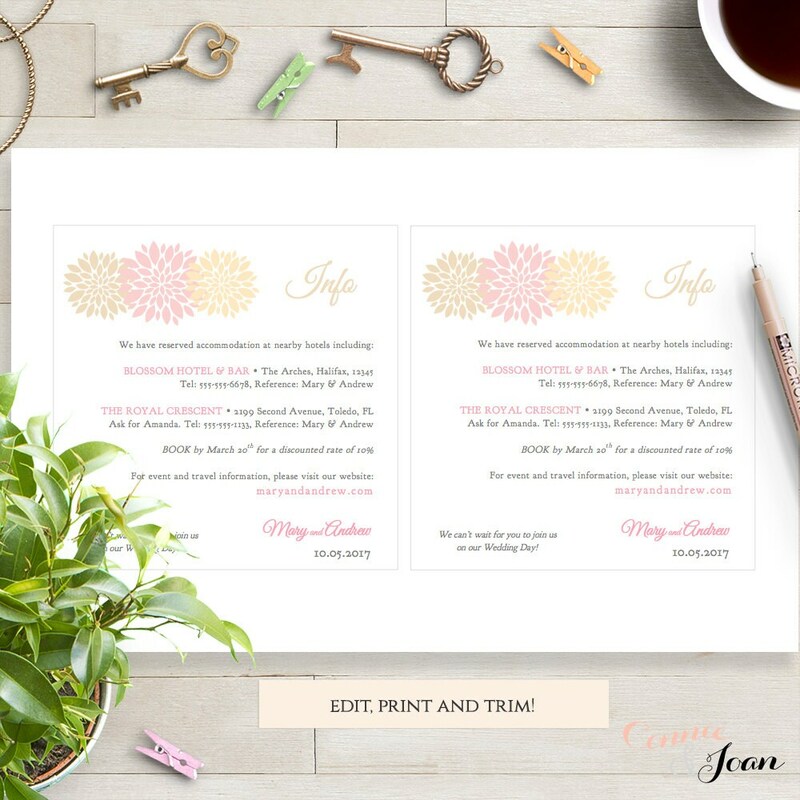 Printable Wedding Invitation in champagne, blush pink and light gold, but you can easily change all the flower colours and text colours. 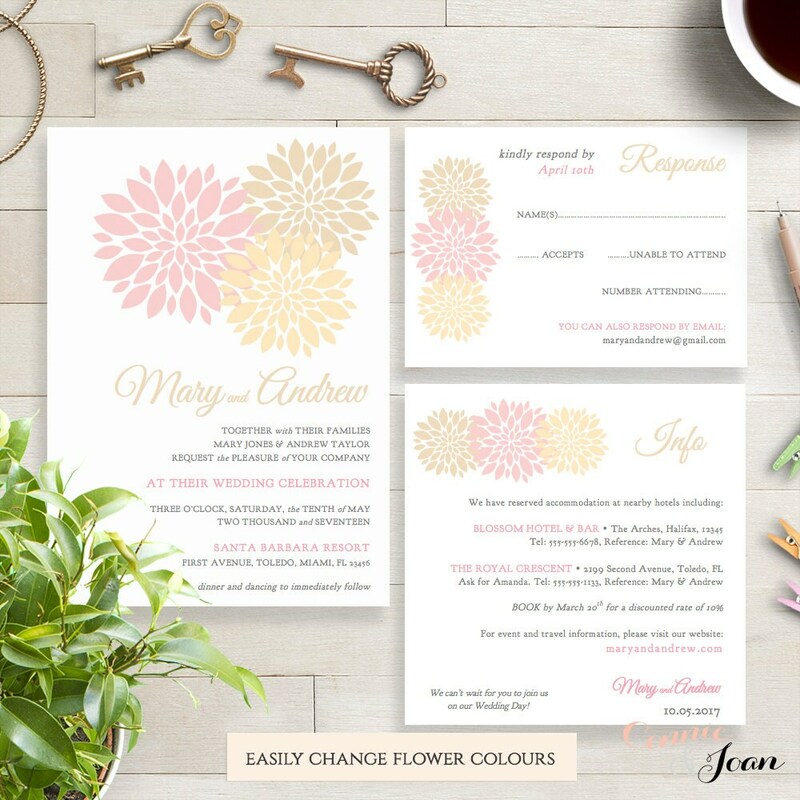 *This listing is for the wedding invitation template - Microsoft Word template. Instant download. For other items, see the links below. You can change ALL the colours too, instructions provided if needed. 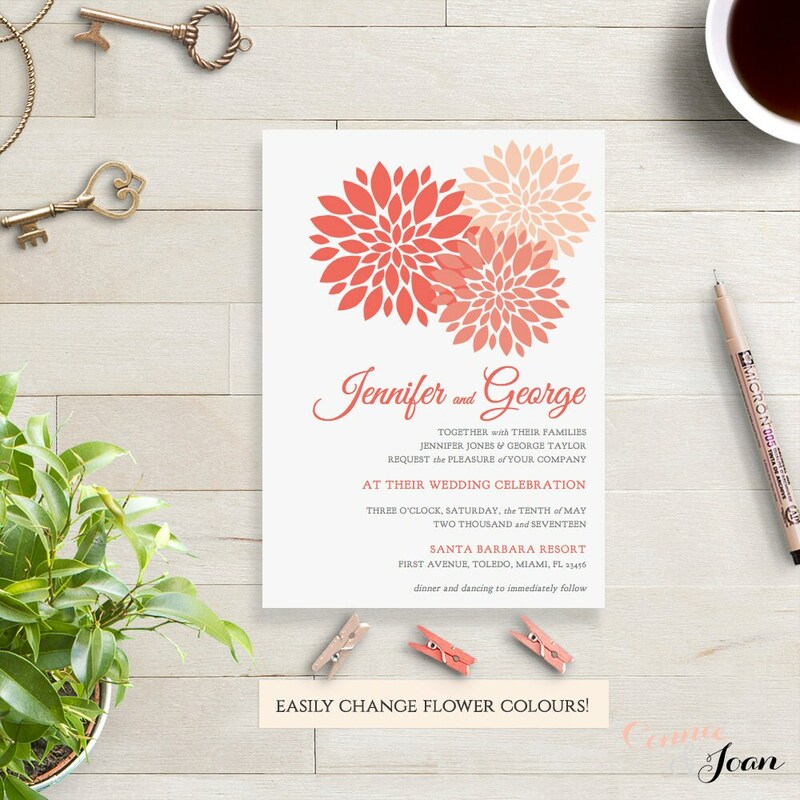 •	If you have a colour theme for your wedding, you can easily change all the colours to match! 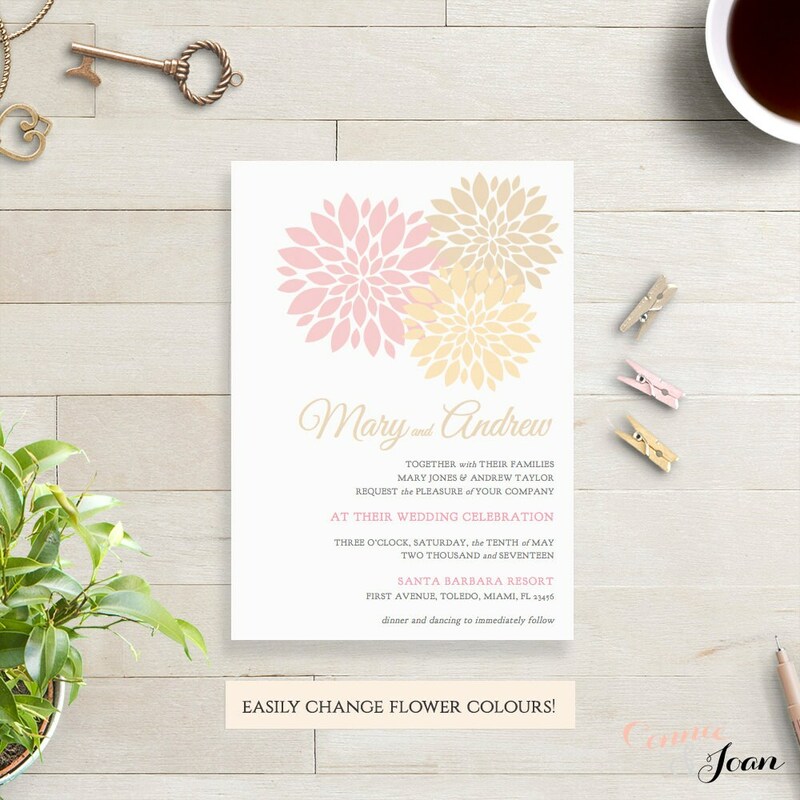 Flowers - move them, re-size them, change all their colours! Easily!